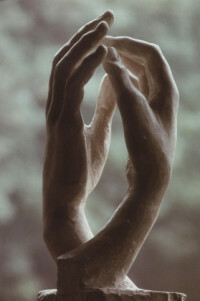 The sculptor Auguste Rodin was born in Paris in 1840. He was rejected from the prestigious and conservative École des Beaux-Arts and instead served as an apprentice for the sculpture Albert-Ernest Carrier-Belleuse. 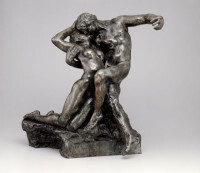 During a trip to Italy in 1876, Rodin encounter the work of Michelangelo, who would experience his work. His first commission from the French government came in 1880; it was "The Gates of Hell", a monumental door covered in relief sculptures. 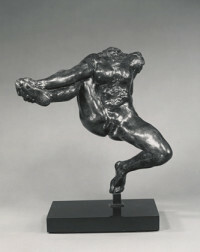 Rodin died in 1917. His sculptures are known for their unidealized appearance and irregular surfaces.